Thanks to Brian and Dave from DebtAware who provide training on money skills for life. Years 5 and 6 have been busy learning about the cost of everyday living and how to spend money wisely when they are adults. 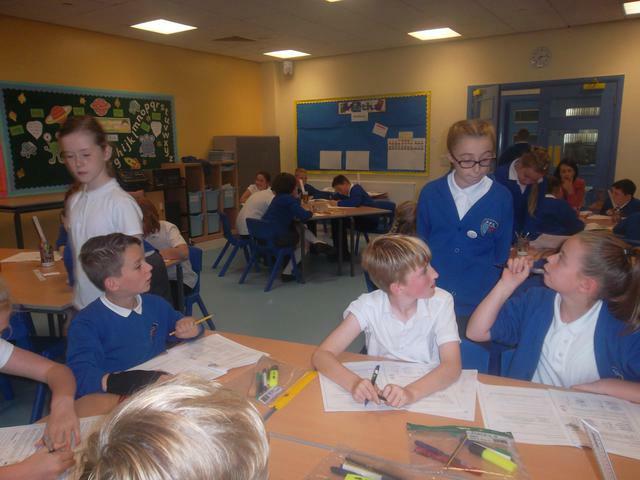 Years 5 and 6 have been finding out how to manage money and make sensible financial choices now and in the future. 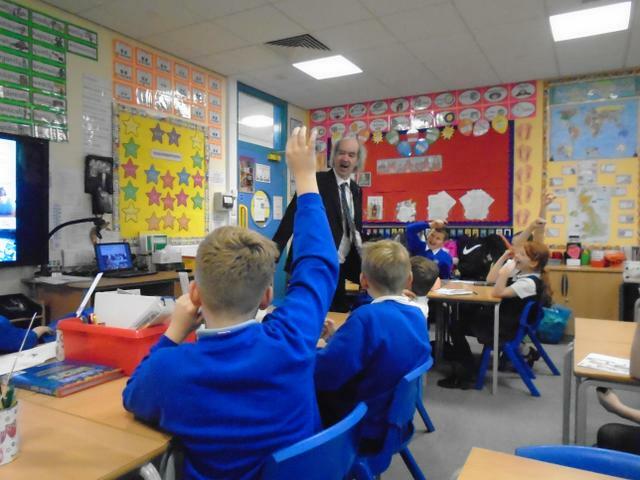 Brian Souter, from Debt Aware, delivered a fun, informative and very interactive session to Year 6 about the world of work and income tax. They learnt about the different skills required for different jobs, as well as learning about the qualifications that will help them obtain the job of their choice in the future. The main message was that aiming high and doing their very best at school would help them get their dream job in the future. Year 5 learnt all about the difference between wants and needs and how this can help them make sensible choices about money. 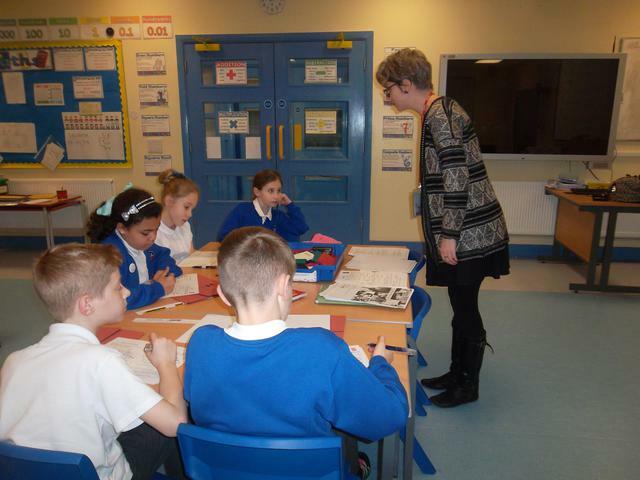 Year 5 have had their second lesson on Budgeting and Year 6 have now been trained in Module 5, Good Debt Bad Debt. The children have really enjoyed the sessions and have learned a lot about the importance of managing money wisely. Many thanks to Brian Souter and Emma from Debt Aware who deliver the training. 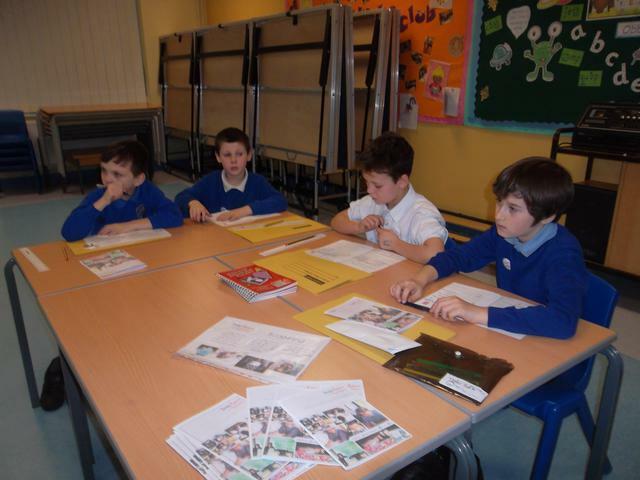 Children in Years 5 and 6 will once again take part in the Money Management programme which is made up of six modules. 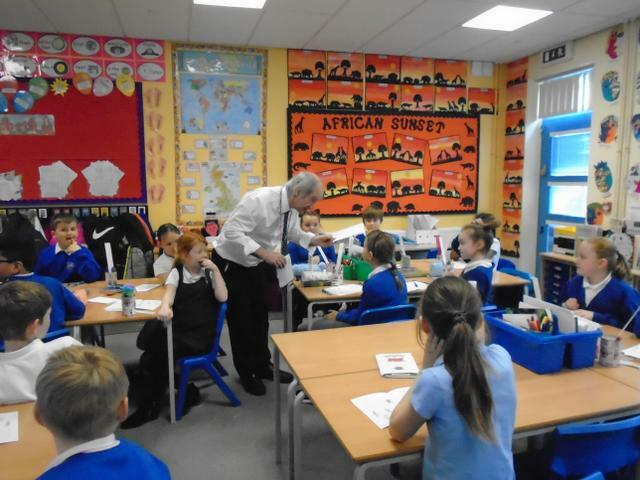 The sessions are delivered to pupils by Brian Souter and Emma from Debt Aware. The aim of the programme is to equip children with the knowledge, understanding and skills to become financially literate and responsible adults. 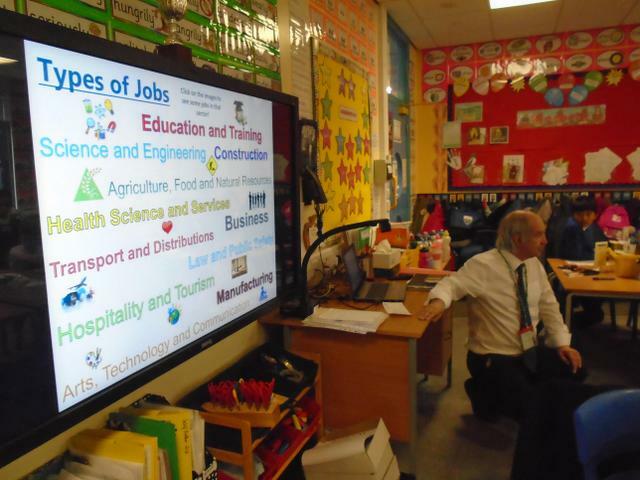 Year 5 have had their first lesson on Wants and Needs and Year 6 have now been trained in Module 4 - The World of Work. All the children really enjoyed the sessions and have gained some fantastic knowledge for the future. 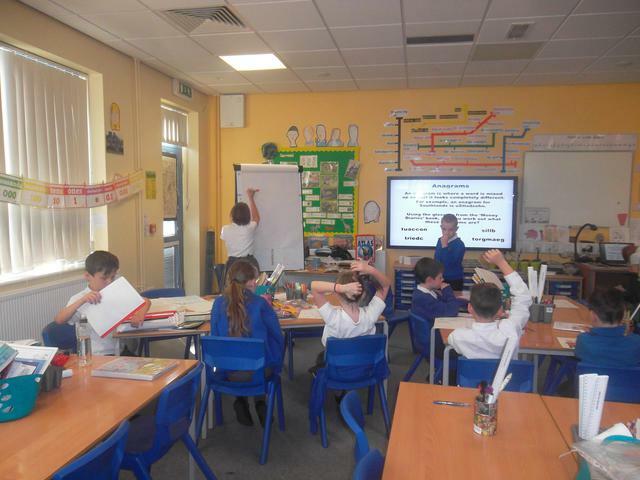 Year 5 Money Mentors did a fantastic job once again teaching their classmates about the advantages and disadvantages of different methods of paying for goods. 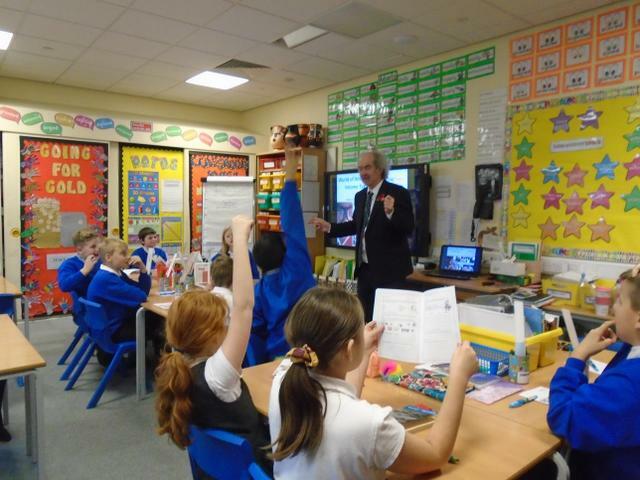 They also learned about interest rates and how this impacts on savings. This was another valuable lesson in how to manage money sensibly and prepares children for being responsible adults in later life. Money Mentors teach their classmates about the importance of managing money. 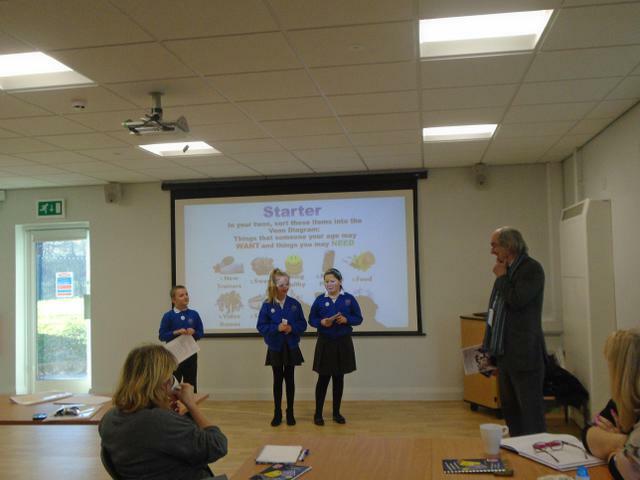 Years 5 and 6 Money Mentors had a busy morning on Friday teaching their classmates all about Budgeting and Financial Risks. They did a fantastic job and really enjoyed the chance to share everything they've learned with the rest of their class. 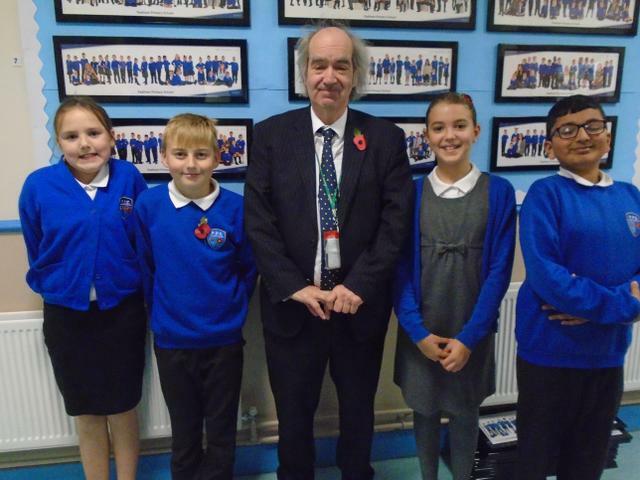 Year 6 Lance, Daisy, Re'nel, Jazmine, Leyton and Vincent. 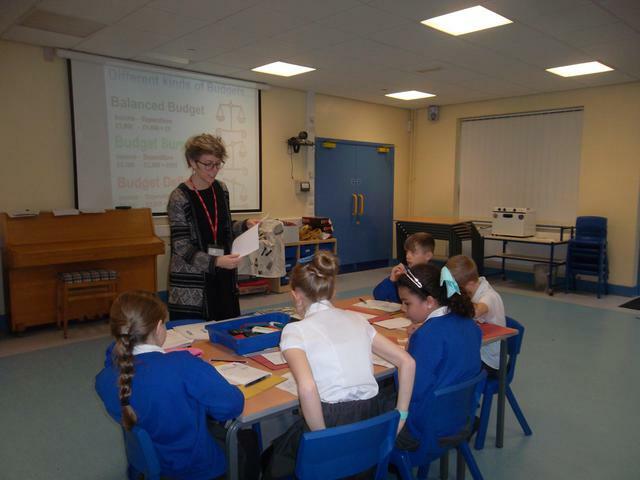 Year 5 Money Mentors have now been successfully trained in Module 2 Budgeting and are keen to deliver this to their classmates. 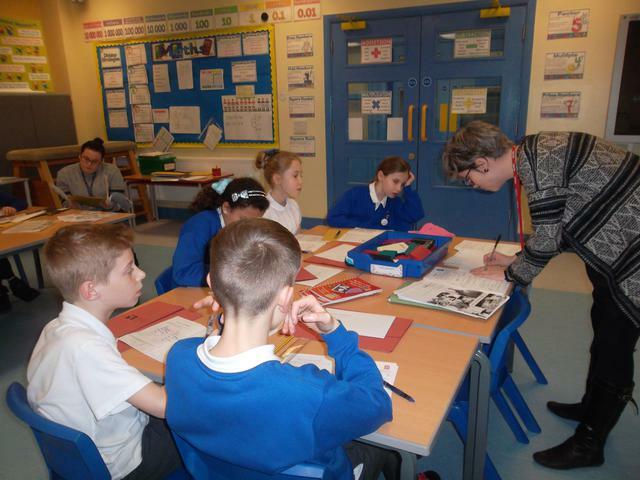 Year 6 Money Mentors had a lot to learn during their training on Module 5 which is all about Financial Risks. They are ready to teach the rest of the class about different kinds of debt. 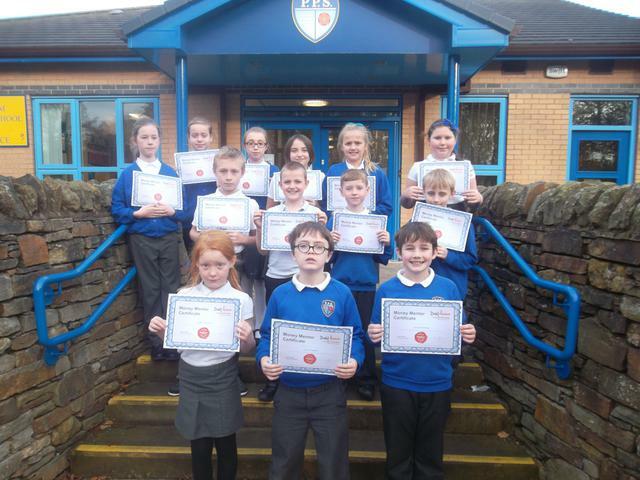 Padiham Primary have been involved in the DebtAware Money Management Programme for the last sixteen months. We have now attained Accreditation Status for the way in which we have embraced the whole concept of the programme. 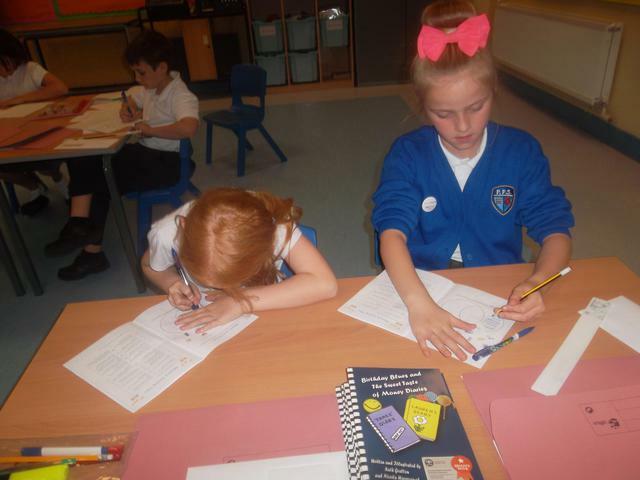 Padiham Primary School believe that the teaching of money management is a very important life skill. We are delighted that we have achieved accreditation status in the DebtAware Money Management Programme. 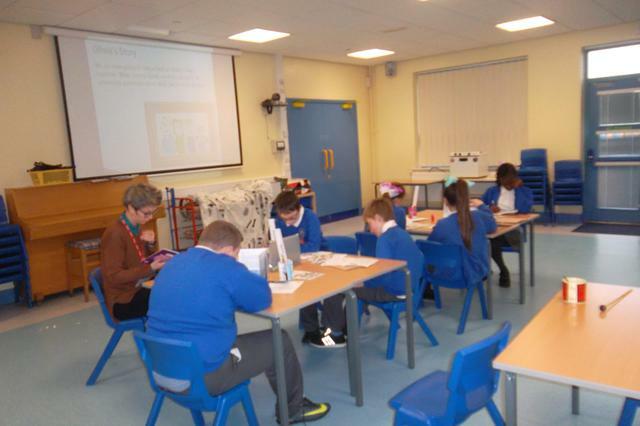 Children in Years 5 and 6 take part in the Money Management programme which is made up of six modules. The sessions are delivered to pupils by selected classmates known as Money Mentors. 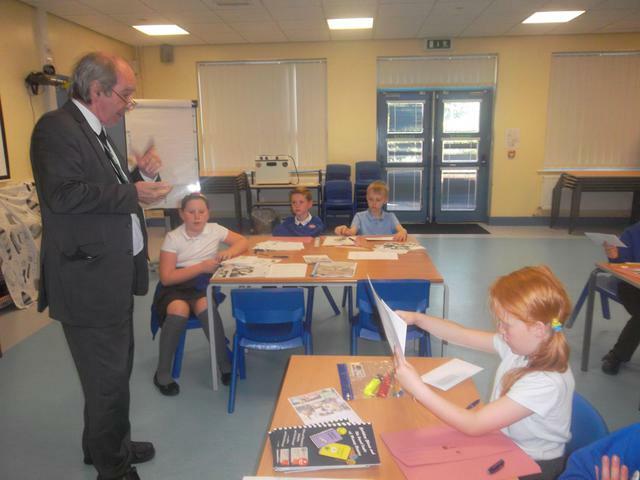 These children receive training from Brian Souter, the Education Manager at Debt Aware. 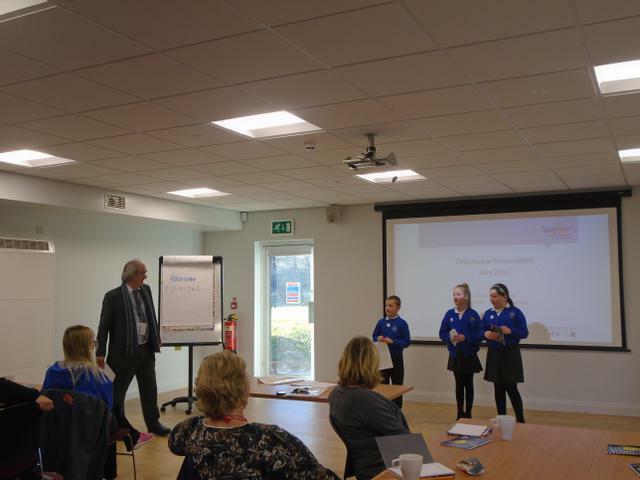 Kai, Alicia and Isobel, our Year 5 Money Mentors, presented to a group of special education needs teachers from across the region at Tor View Special School in Haslingden. 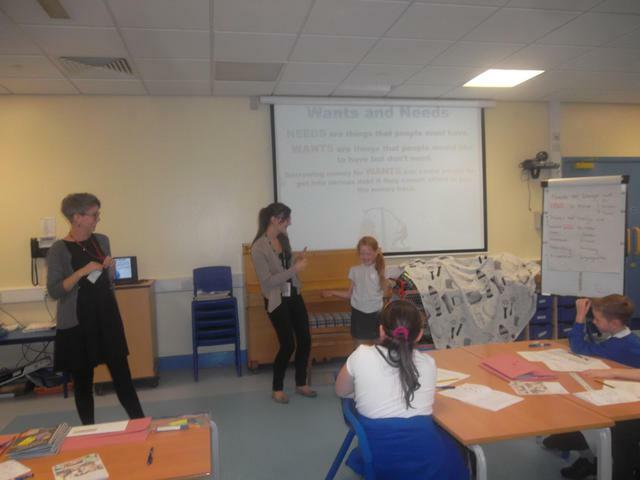 The children discussed the programme content and explained what they did as Money Mentors. 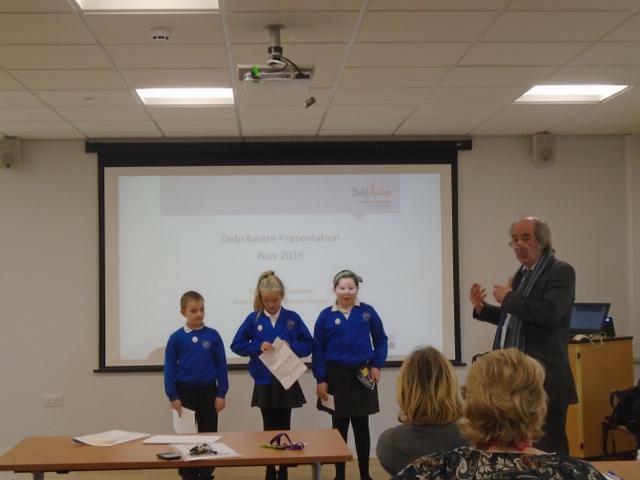 DebtAware Education Manager Brian Souter said, “It was an excellent presentation. They took a number of questions afterwards and their answers were extremely clear. They showed a great deal of confidence."